Adidas has announced its ZX Flux print-your-own trainers scheme will be kicking off tomorrow, redefining custom footwear forever. 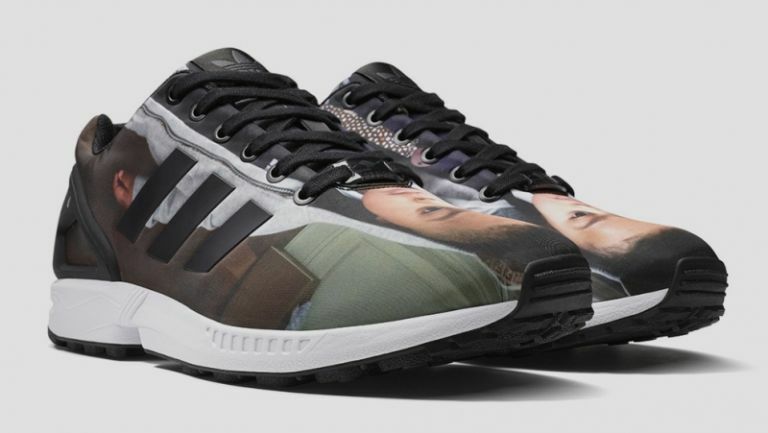 The shoemaker's new miZXFlux app will let you take your own photos from your smartphone's camera roll and apply them to a ZX Flux trainer. This means the possibilities for your bespoke sneakers are pretty much endless, assuming you're creative enough a snapper. We first heard about the initiative back in May when Adidas teased its ZX Flux trainers - appropriately, via Instagram. The new app will be available on both iOS and Android, and will cater to both existing images and new photographys taken especially for your next pair of kicks. Once you've uploaded your prize shot to the app, a 360 degree 3D preview will appear on screen that will let you rotate, scale, and position the image until you're happy.